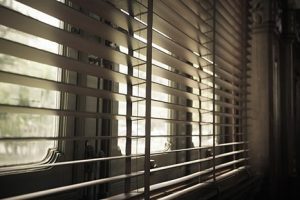 If you’re looking for Venetian blinds for your home, contact Pippas Blinds Ltd. We provide beautiful and elegant blinds for properties across Northampton. Whether you need classic or contemporary Venetian blinds, contact Pippas Blinds Ltd. We have a wide selection of blinds that cater to all tastes and styles. We have blinds with wood, chrome and metallic finishes. Our vibrant shades can give your home the distinctive, modern look that you’ve always wanted. We can also mix the slat colours to provide a customised combination to suit your personal tastes and preferences. For customised Venetian blinds, contact Pippas Blinds Ltd. Our Venetian blinds specialists can manufacture blinds as per your exact specifications. We can also fit them in your home for free. Our services are cost-effective and dependable. We also provide a two year guarantee on all the products that we deliver. We provide colour matches for Deluxe, Crown, Farrow and Ball paints. If you live in or around Northamptonshire, get in touch with us today.